The guy in the ticket window told me platform 2. This station doesn’t seem to have English style platforms – so I’ve walked past what I thought would be platform 2, to where the sign is insisting it is. Having emerged onto the platform there doesn’t seem to be any indication of what side I want. But there is at least a train here so I’ve got on that. Ok it only has 2 coaches, but its close enough. I think one of them says Mostar? I don’t think this is the train driver…. Er we’ve started moving… 06:53 is close enough to 7 right?! Two Bosnians have joined me in my compartment. They appear to be eyeing up the open window in a disapproving manner…. Ok, for peace of mind I need to find the conductor to check I’m on the right train even if it means I risk relinquishing control of the window. Success! I’m on the right train and I’ve returned to find that the Bosnians have left the window alone! The Bosnians are looking increasingly unhappy at the window situation. I roll up my sleeves to try to make it look warmer than it is, and that I need the breeze. I don’t understand Bosnian but I’m now sure the Bosnians are openly discussing closing my window. One of the Bosnians has decided to celebrate his window victory my lighting a cigarette in the now draftless, closed off compartment. I believe the young people say “FML”. The scenery outside is spectacular as we snake across the edge of mountains and cliffs, occasionally diving over viaducts to bridge the gaps between them. Shame I can’t take a picture due to 40 years of tar and smoke making the window as about as transparent as a brick. This photo hasn’t worked out very well. I wonder why? I think the Bosnian is actually chain-smoking just to spite me. We appear to be in the worlds longest tunnel, although as we are barely moving it could just be that we are going through a short tunnel in the longest possible time. I’m starting to wonder if it’s actually an unexpected eclipse of the sun or something? The views have just gone insane, 100’s of feet up, leaping between cliff edges, with a river running below. This knocks the socks off Fort William to Malaig or the Settle and Carlisle line. I have taken the fact the Bosnian has sparked up yet again as an opportunity to open up the window and get some air. 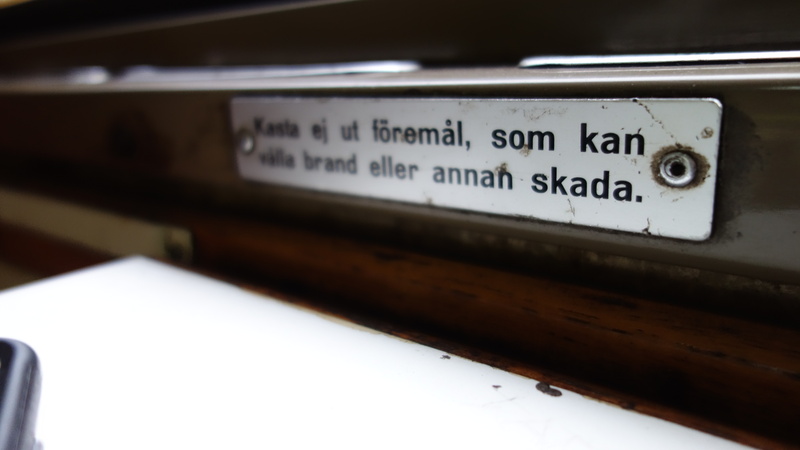 Perhaps offended by my obsession with the window, perhaps its just his stop, but the chain-smoking Bosnian has left. 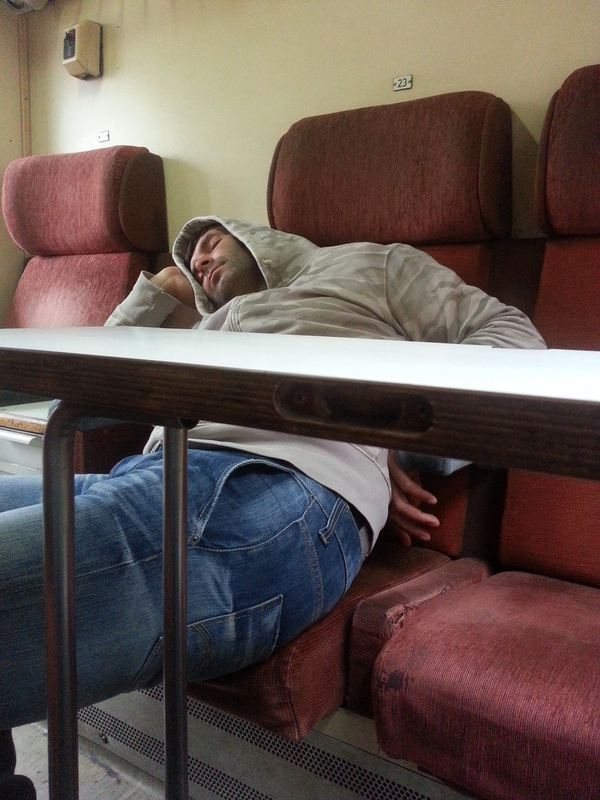 His colleague is now sleeping. Were going quickly now. (well everything is relative) the scenery is less spectacular but I can now take better pictures. 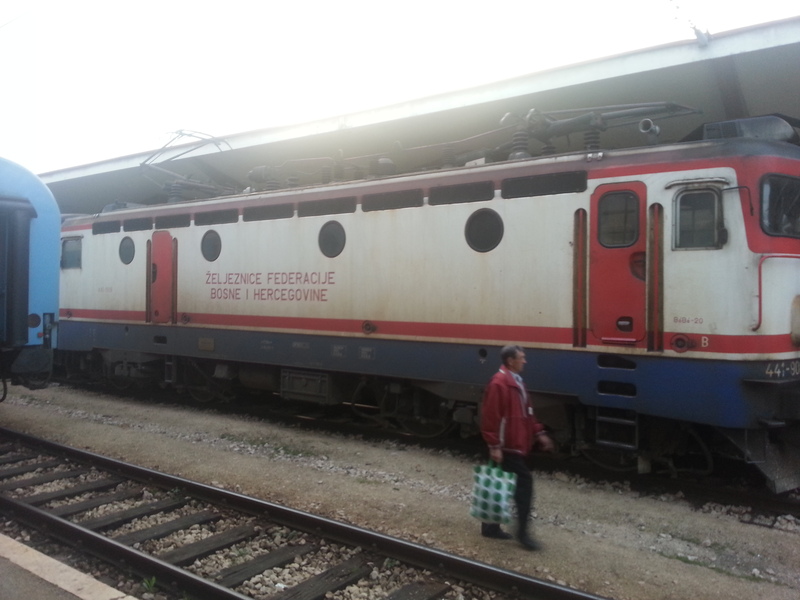 The train is starting to get busier, although the draft from the window has made the Bosnian man sleep across the compartment entrance, neatly blocking it off from more passengers from joining the compartment and complaining about the draft. They have closed the window. 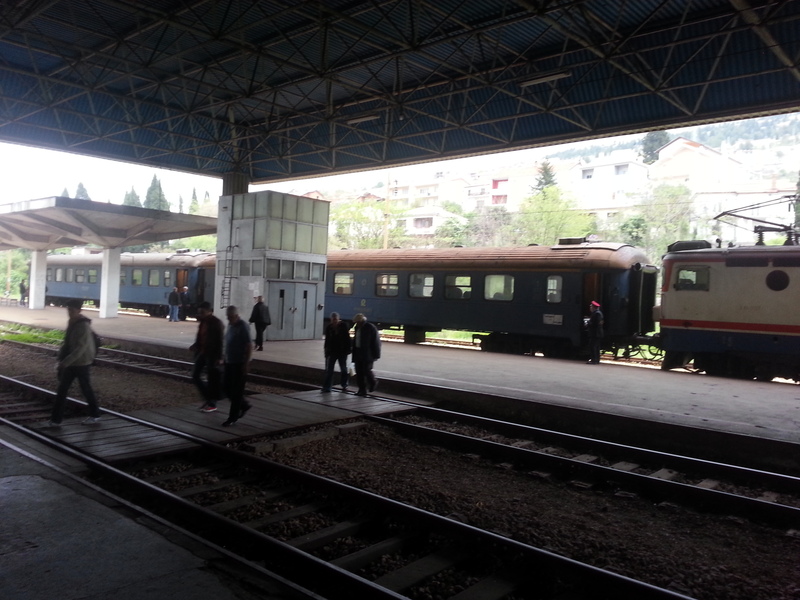 We have arrived in Mostar. 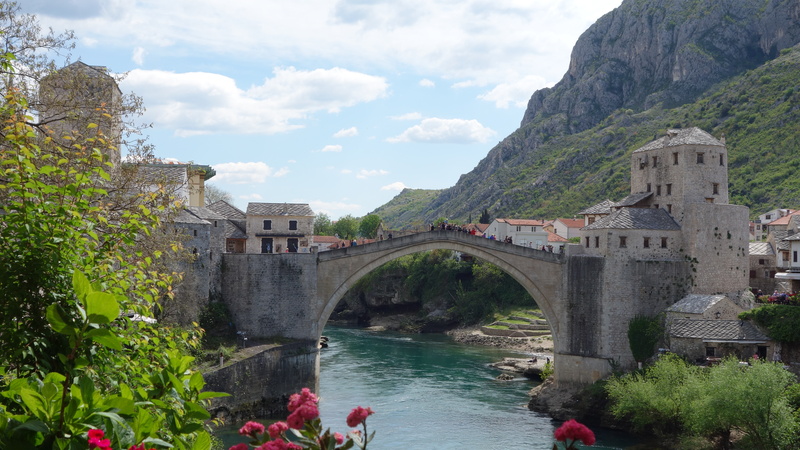 I ignore the man asking me if I need a place to stay – my hostel in Sarajevo has already arranged that for me, a guy from a hostel in Mostar will be meeting me. There is definitely no man from a hostel here…. You can subscribe to updates on my blog using the link on the lefthand side of this page. You can also find a link to my Facebook page here, which you can like, where you will be able to find more photos and updates.